This unique program is designed to help your company market and build brand identity with the home buyer and everyone else that passes through the front door. 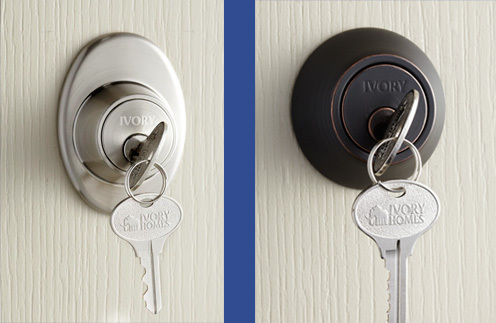 When you commit to using Better Home Products Lockset program in 100 or more new homes, we will imprint your logo on the front door deadbolt or handleset at no extra cost. In addition, we will include 4 upgraded logo keys per house with your company name and or logo stamped on the keys.